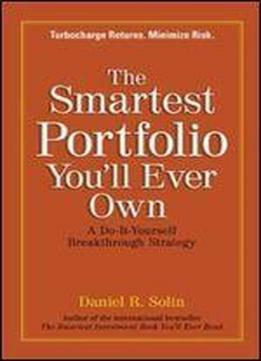 Bestselling author and financial blogger, Dan Solin, provides real do-it-yourself investors the means to create a dynamic-and safe- portfolio that mimics those constructed for some of the major institutional and trust investors in the country. Readers can maintain complete control over their money-and not sacrifice precious points to an advisor or broker. Using a strategy that minimizes volatility and maximizes returns, Solin makes investing according to the principles of the most sophisticated financial models accessible to individuals in a way that has never been possible before. As readers have come to expect from Solin, implementing this plan is as simple as one, two, three: open an account with a discount broker determine the appropriate asset allocation using the simple questionnaire in the book or online input pre-determined ETFs (Exchange Traded Funds) and the allocations for the level of the investor's individual risk profile. This is the only book that provides the information and practical guidance that readers need to achieve the very best results with the minimum risk,on their own.